We are manufacturer and supplier of Safety Shoes. We "Modern Safety Enterprises", established in the year 2010 is a renowned firm, is a leading manufacturer and exporter of Safety Shoe, Industrial Safety Shoes, Industrial Boots, Moccasins Shoe and Safety Rigger Boot. Our safety shoes are widely appreciated for their features such as heat resistance, high strength and durable finish standards. Our products are manufactured through advance machine and using finest quality raw material. 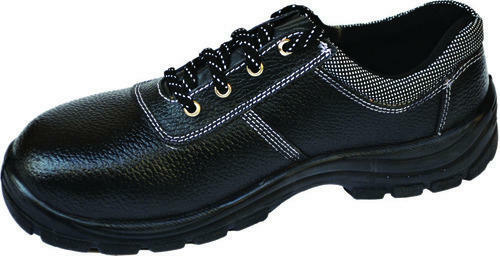 We are the manufacturer of EMPEROR™ Safety Shoes which is our own brand. Established at our premises is a state-of-the-art infrastructure that empowers us in executing all the business related operations with utmost precision. This facility is installed with all the essential amenities that are required for swift and bulk production process. We export our products all over the world. Moreover, a team of dexterous professionals is hired by us, which helps us in accomplishing all our business activities in a swift manner. These experts work in sync with each other so as to meet the variegated needs of the patrons. Owing to the painstaking efforts our total quality management and transparent dealings, we have been able to muster a huge client-base, across the nation.